Welcome to day 2 of my Italy blog posts! This one is probably going to be my favourite one out of them all, as it's the day I visited the Floating City itself, Venice! Venice is a place where I have wanted to go for the longest time. When I thought about Italy it always topped the list of places to visit so I knew when I booked Rome (which was always a close second), that I couldn't pass up the chance to visit there, even if it was only for the day. We got a really early train to have the longest time possible exploring and it took us about 3 hours to get from Termini train station in Rome up to Venice. To say I was excited when we pulled into the train station was a bit of an understatement, I genuinely felt like I could have burst! 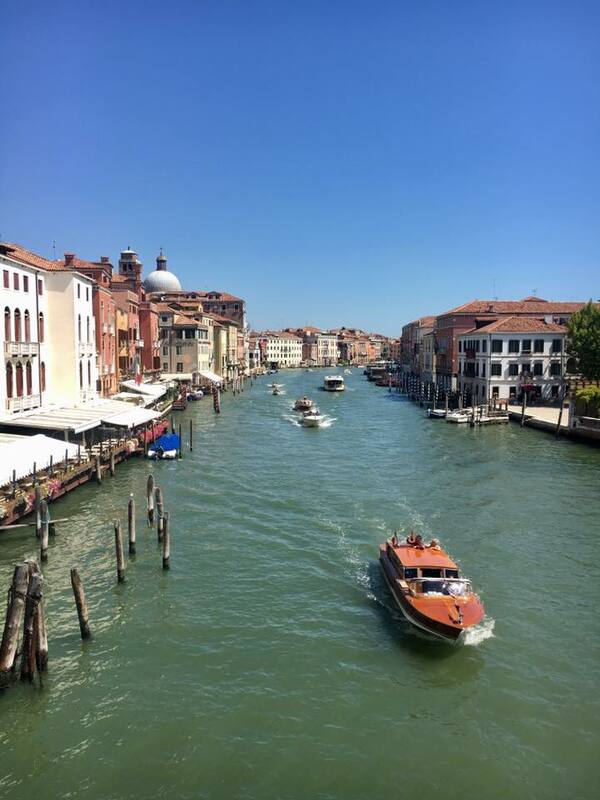 When you get off the train and step foot outside the train station you are met by one of the most beautiful sights I have ever seen, the Grand Canal. You know them videos where children open their presents on Christmas day and they near enough self implode because they have got a puppy or that brand new computer they wanted? That was me when I first set my eyes on Venice. I literally was jumping up and down squealing with happiness. The transport system in Venice is very unique. I knew they travelled everywhere on boat but I didn't know that there actually wasn't any roads with cars or anything on at all. I thought it was a mixture but it wasn't and when you are walking around and there's not a car engine or horn in ear shot, it really makes you realise how much you love the calm and tranquillity of this watery city. It was so nice to get away from the hustle and bustle of normal city life and experience the chilled (although very crowded) Venician life. Walking through Venice I literally wanted to photograph every single thing I saw, unlucky for me though, my iPhone is awful and that dreaded "Storage Full" message kept coming up, even though I only had about 50 photos on my phone! I had forgotten to take my actual camera away with me and was purely relying on this iPhone for photographs and it was not making me happy at that moment in time. Cue me sitting in a Gelato shop, trying to delete near enough every app and message possible, changing the photo settings on my phone so they weren't High Def and trying desperately to free enough space to let me take photos for the rest of the week! I don't know how, but it worked! As we were exploring, we came across a little Pizza takeaway shop where you bought the Pizza by the slice called "Farini". I love Pizza, it really is the food of the Gods in my opinion and this Pizza looked heavenly. We hadn't had much to eat that day so far so we decided to try some and my god, it was probably the best decision I have ever made in my whole 31 years of life! I don't think any Pizza I ever eat again will compare to that slice of Pizza. I was boring and stuck to good old trusty Margarita, but everything about it was perfect. 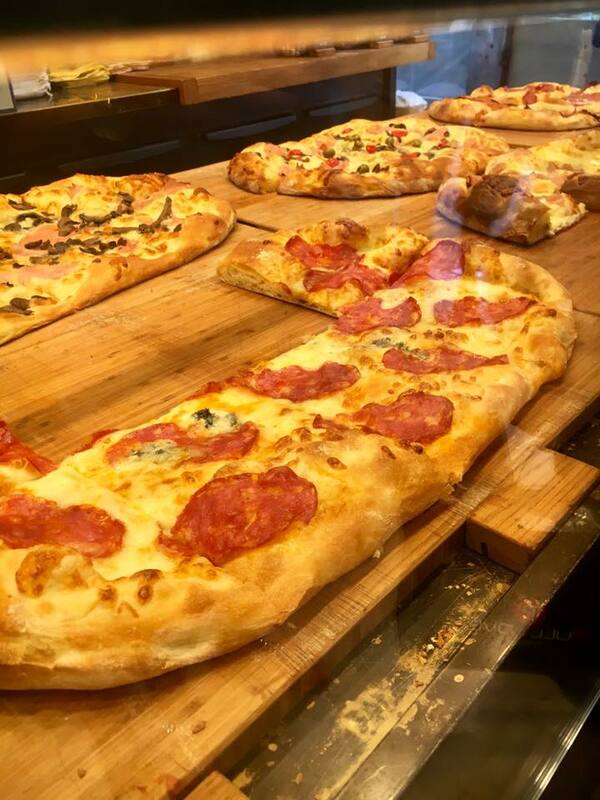 If I am ever on death row and they ask me what I want my last meal to be, I am definitely going to say Farini Pizza! 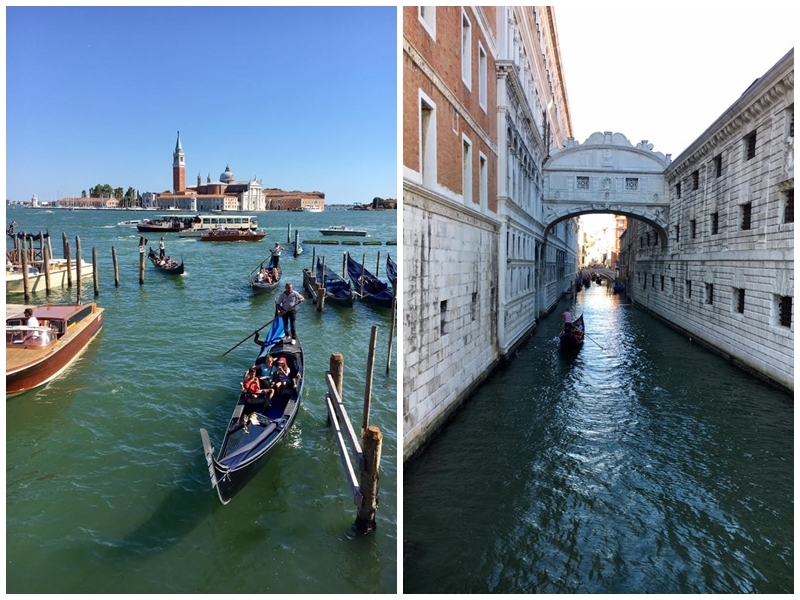 After the Pizza experience of dreams, we headed down to the Rialto Bridge over another section of the Grand Canal which is where you go for the Gondola Rides. The Rialto Bridge is a huge grand white bridge and it is absolutely gorgeous! The main thing I wanted to do when in Venice, which I'm sure doesn't come as a shock to anyone, is have a Gondola Ride! I drew us some money out (we didn't take enough, typical us!) and we headed down to the Gondolas. We were going to barter with them and try and get a cheaper deal but now all Gondola rides are equal in price and you cannot bargain with them, so no matter how many people get on your Gondola, it is always €80 for a 20-30 minute ride. I think this was to cut the competition and make it a fairer way for the Gondola rowers to make their living. We got in our Gondola and our lovely Gondola man rowed us off. I loved every second of it (although I'm not sure he agreed as we were scrambling round the boat every other minute taking photos! Oops haha) and even though it was pricey, I would definitely recommend doing it. If I ever go back to Venice, which I'm certain I will, I will definitely be doing it again. They looked so good in their stripy tops and their balancing skills are definitely something I was quite jealous of! I would fail miserably at being a Gondola Rower, I would spend more time in the water than on the boat 100%! I was really disappointed he didn't sing as well! I had been warming my vocal chords up ready to join in with Just one cornetttooooooooo! 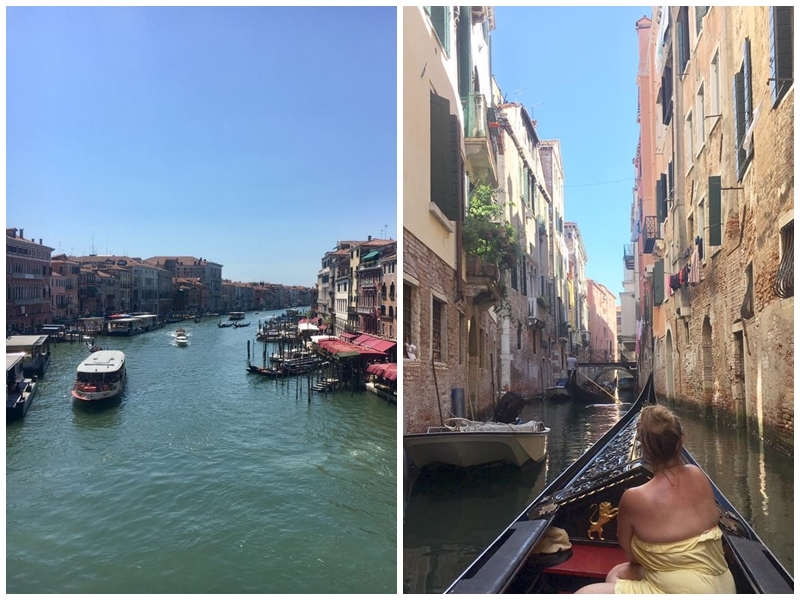 As you are being taken around the Grand Canal and off into the much smaller watery streets they tell you a bit about what you are floating past and some insight into the history of Venice. I would like to send out my sincerest apologies to our rower though for not listening to a word that he said the whole half an hour! Sorry Signore! 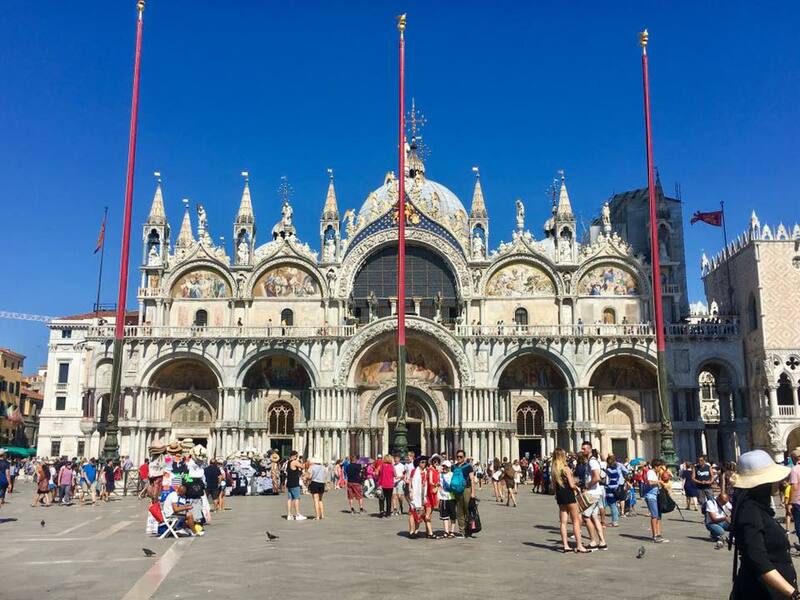 When our Gondola ride came to an end we headed up to St Marks Square and St Marks Basilica. 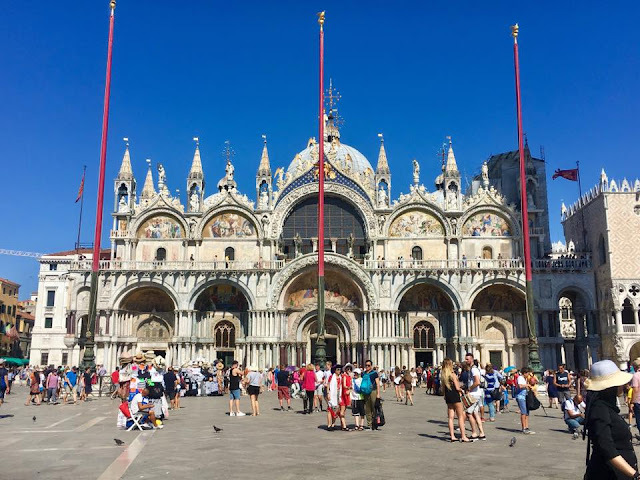 St Mark's Basilica is probably one of the most unbelievable buildings I have ever seen, It was so so extravagant and beautiful. We unfortunately couldn't go inside because we just didn't have the time, but seeing the building was enough for that day. 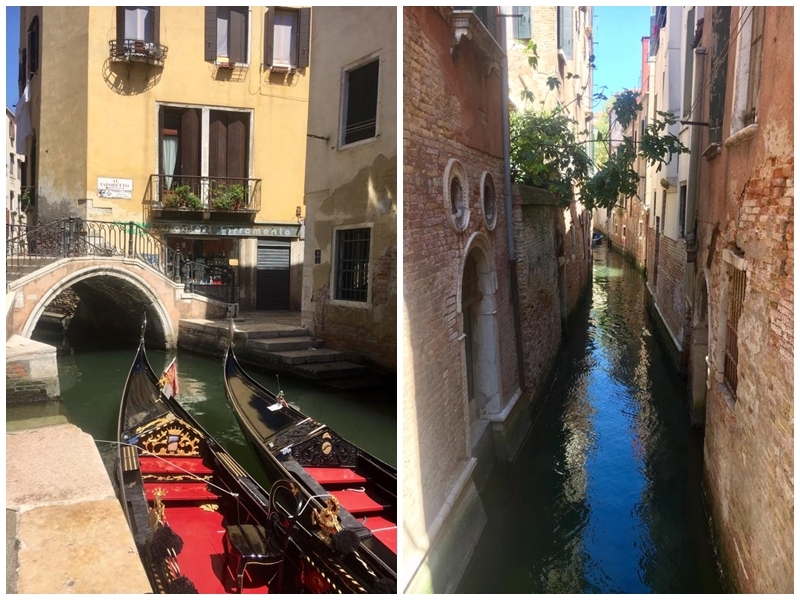 Just round the corner was a gorgeous harbour and the Bridge of Sighs, which apparently if you float under on a Gondola and kiss your boyfriend or girlfriend, it means you will be together forever. I'm thinking I may need to trick my boyfriend into this hahahaha. 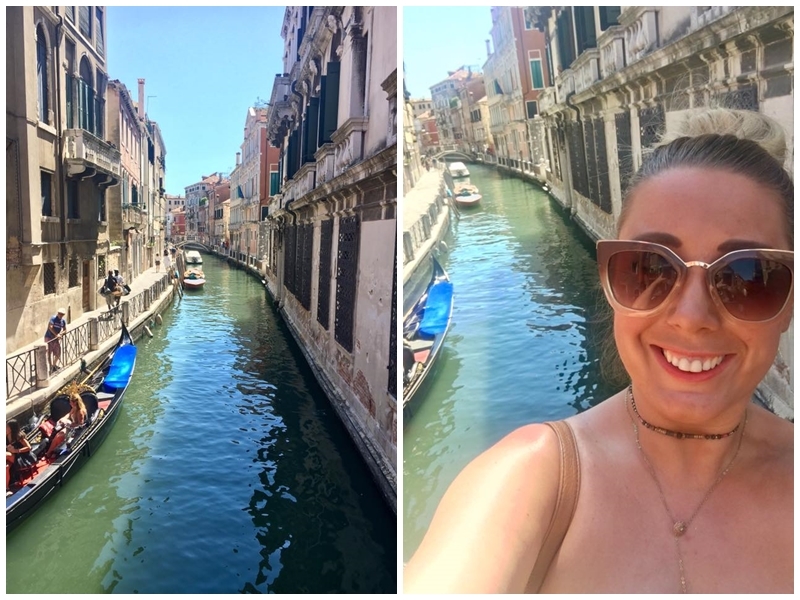 There's just so much beauty everywhere in Venice, I loved everything we got to see that day. 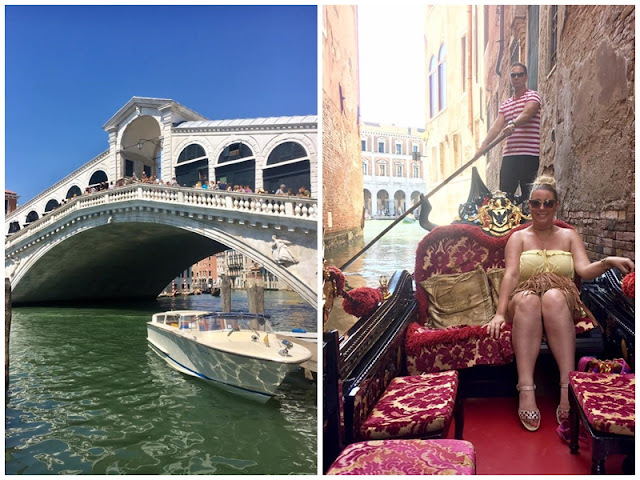 As we headed back to the train station we stopped at a little place right on one of the canals called Ali D'Oro and had a little Prosecco in the most gorgeous surroundings to cheers to our lovely day. 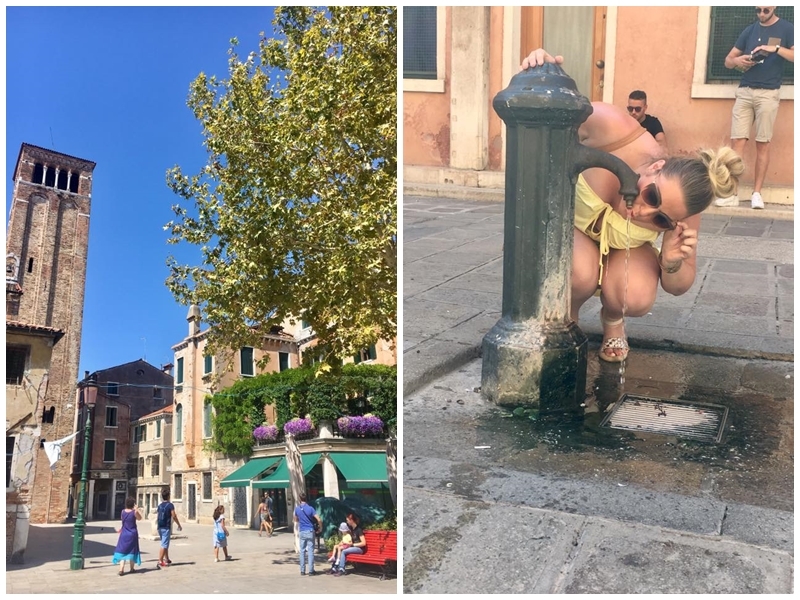 A little word of advice for anyone heading to Venice, make sure you have a phone with Google Maps on. It is probably the easiest place to get lost in, every street looks the same and we got very very lost trying to find our way back to the train station again. I don't know what we would have done without Google Maps, it was our best mate that day! It was funny looking around because I think everyone had the same idea as us, everywhere you looked people had their phones out trying to follow directions haha! The day in Venice was amazing, I saw some of the most beautiful sights and experienced some things I had wanted to tick off my bucket list for a seriously long time. My only downside was that I wished we had been there for longer, but I can't complain too much because I know I will go back again and get to spend more time in the prettiest city I have ever seen sometime in the future. 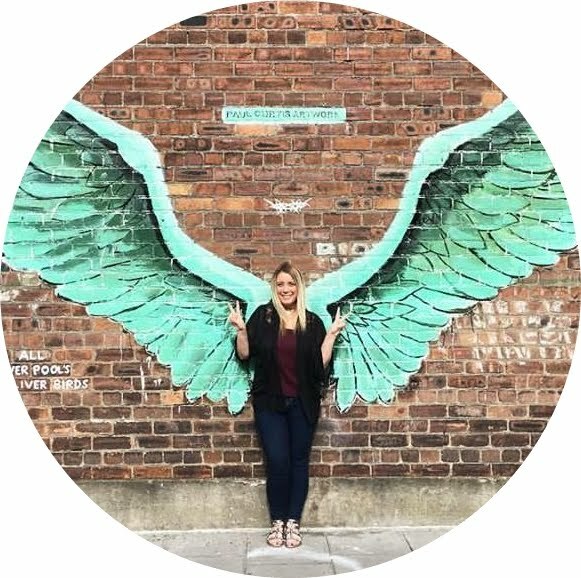 I'm Sarah, welcome to my little corner of the web! Here I will be sharing all things in my world!